Should You Build Your Own Data Center or Partner With Someone Who Already Has One? There’s nothing quite like the satisfaction that comes with doing things on your own, but you might be better off working with someone else for certain tasks, such as data storage. Even if you have a small business, there are circumstances in which you’ll want to either pay for data center services or partner with someone who already has a well-established data center. So how do you decide between maintaining your own data center and partnering up with someone who already has one? If you have a massive amount of data to keep up with, then you might be better off partnering up with someone who has a data center and an equally massive amount of data that needs to be kept safe. By pairing up with someone who already has the same needs as you, you won’t have to worry about doing a lot of trial and error as you’re trying to figure out all of the requirements necessary for keeping such a large amount of data safe, and that’s especially true if you have sensitive information from your customers and clients. If you don’t have very much data that you need to store in a data center, then you’ll probably be fine with building your own data center. Just make sure that that data center has all of the security features necessary to truly keep your information safe and that it can grow as your business grows. How Sensitive is the Information You’re Storing? Sensitive information calls for an equally sensitive data center. If you have credit card numbers, bank accounts, social security numbers or any other kind of sensitive financial or personal information from your customers and clients, then you might want to strongly consider partnering with someone who has an extremely well-protected data center. Not only can cyber criminals do a lot of damage to your customers and clients if they manage to get ahold of their information, they can do a lot of damage to your reputation as well. How many people are going to want to do business with you if they can’t trust you to keep their information safe? Even if cyber criminals don’t steal financial and personal information, they might infect your data center with a virus that could wipe everything out or corrupt your data, which also won’t do any favors for your reputation. Identity theft and viruses can cost you a lot of money in terms of your having to inform all of your customers and clients in addition to having to pay professionals to take care of all of the damage done by cyber criminals. Eliminate the process by pairing with someone with a secure data center. What is the Upkeep and Run-Time of Keeping Your Data Safe and Secure? If your data requires an abundance of upkeep and run-time, you have to ask yourself whether or not you have the time and resources necessary to take care of all of that. Individuals who aren’t very technologically savvy or who have a limited amount of time on their hands might want to think about letting someone else handle the run-time and upkeep of the data center. One mistake in either could cost you in time and money. Something else to think about is that as time passes and your needs grow, you might need more upkeep and run-time in order to keep your data center properly up and running. If your business is growing along with your run-time and upkeep, you might not be able to keep up with everything on your plate. Don’t just consider your present needs when thinking about data center requirements, think about the future and your individual goals as well when determining whether or not you’d prefer to have your own data center or partner with someone who already has one. Do You Plan on Building a Larger Database? 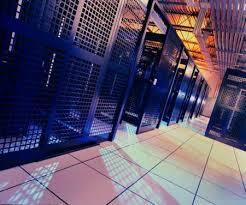 If your current data center is more of a starter data center, you should look into co-location. One of the many joys of co-location is that you can find a facility that is built specifically to your individual needs and requirements. Something else to think about with co-location is that data centers have their own air conditioning, security systems, generators and constant professional monitoring, all of which can cost millions of dollars if you were to buy them on your own. Another good thing about co-location is that it’s a great way to manage your risks if your main data is kept at your main office. If anything unfortunate should ever happen to your office, all of your data will still be safe and sound at a co-location facility. One good idea is to use your main office for backups and recovery while you use co-location center as the main location where your data is kept. With co-location, you can rent out property for a long period of time while being able to upgrade to building a bigger and better business. If you choose to build your own data center, the needs of your business might quickly outpace your data center capabilities, which can potentially cost you several lucrative business opportunities. There are more resources than ever that allow you to take care of your data storage needs yourself, but unless you have the education and experience necessary to handle each and every one of your data needs, you’ll be better off partnering with someone who already has a data center and the experience and resources necessary to take good care of your data and your customers. This entry was posted in Data Center Design, Partnerships and tagged cyber criminal, data, Data Center. Bookmark the permalink.